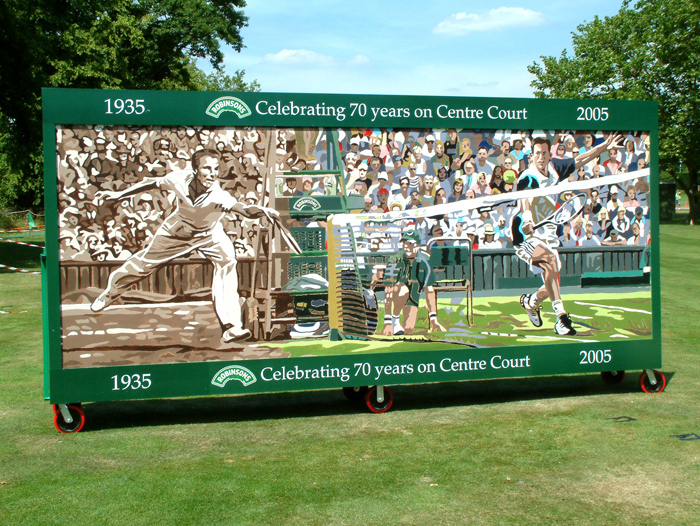 One thousand of the queuing public outside Centre Court, Wimbledon completed the giant 16ft x 9ft canvas. The artist created an original oil painting measuring (5ft x 3ft) which he then deconstructed and redesigned in a blank painting by numbers template with a palette of 32 unique colours which was enlarged onto a canvas. This was then completed by the waiting crowd. This original oil painting hangs in Brtivic’s boardroom in the UK. 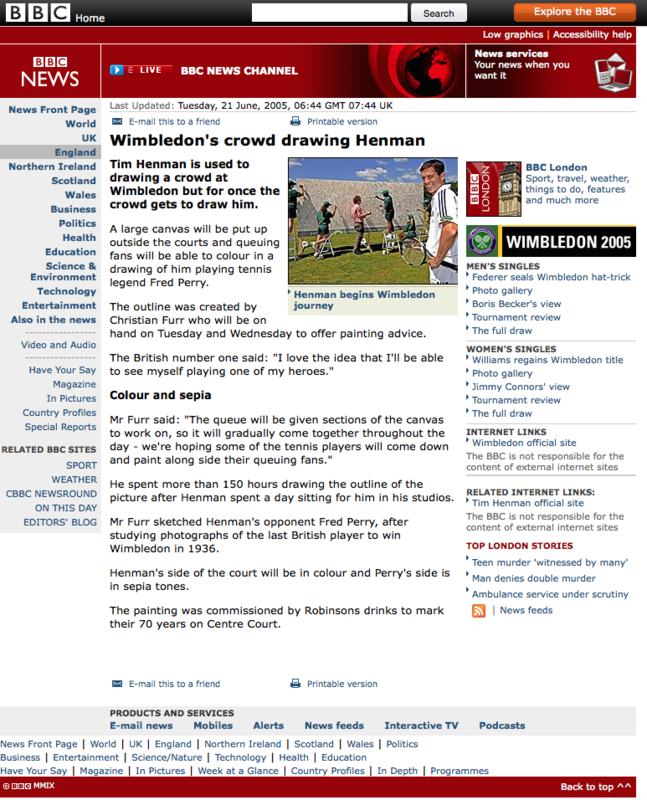 ‘The Great Draw’ won The Best Award for ‘Best & Most Effective Long Term Communication Campaign’ at the MCCA Awards (Marketing Communications Consultants Association) 2006 and received wide media coverage including the BBC.